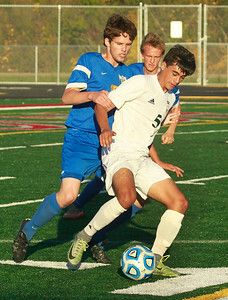 Candace H. Johnson- For Shaw Media Grayslake Central's Juan Mata keeps the ball away from Johnsburg's James Griffin and Keith Adamkiewicz in the first half during the regional semi-final game at Antioch Community High School. 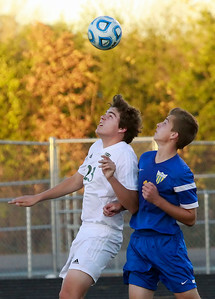 Candace H. Johnson-For Shaw Media Grayslake Central's Jack Spalding heads the ball against Johnsburg's Dean Wiersum in the second half during the regional semi-final game at Antioch Community High School. 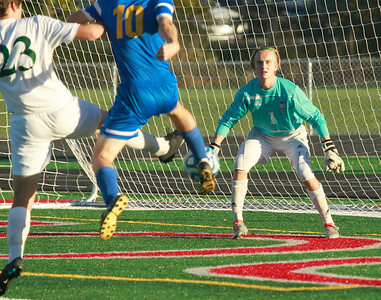 Candace H. Johnson- For Shaw Media Grayslake Central goalie, David Young, defends as his teammate Jack Spalding, tries to stop a shot on goal by Johnsburg's Dean Wiersum in the first half during the regional semi-final game at Antioch Community High School. 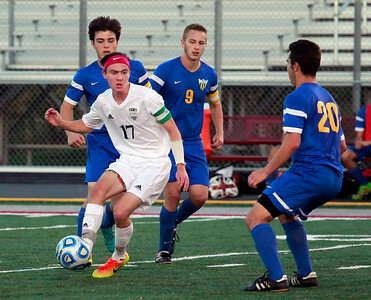 Candace H. Johnson- For Shaw Media Grayslake Central's Trevor Veenstra takes control of the ball surrounded by Johnsburg defenders, Andrew Calhoun, Logan Andersen and Will Conroy, in the second half during the regional semi-final game at Antioch Community High School. 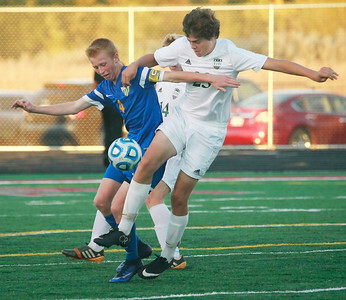 Candace H. Johnson- For Shaw Media Johnsburg's Todd Dombrowski battles for control with Grayslake Central's Matt Kosikowski and Jack Spalding in the second half during the regional semi-final game at Antioch Community High School. Candace H. Johnson- For Shaw Media Grayslake Central's Leo Orozco heads the ball against Johnsburg in the second half during the regional semi-final game at Antioch Community High School. 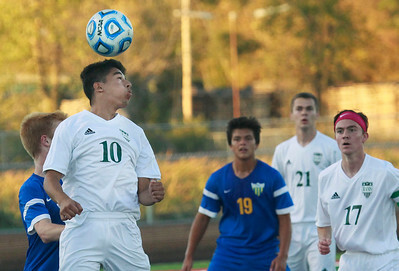 Grayslake Central's Leo Orozco heads the ball against Johnsburg in the second half during the regional semi-final game at Antioch Community High School.